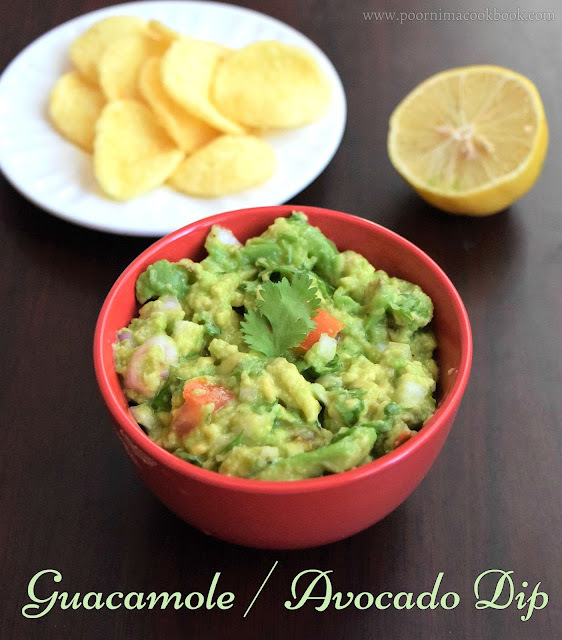 This Mexican dip is simple, tasty and takes less than 10 min to prepare using easily available ingredients in our house hold. 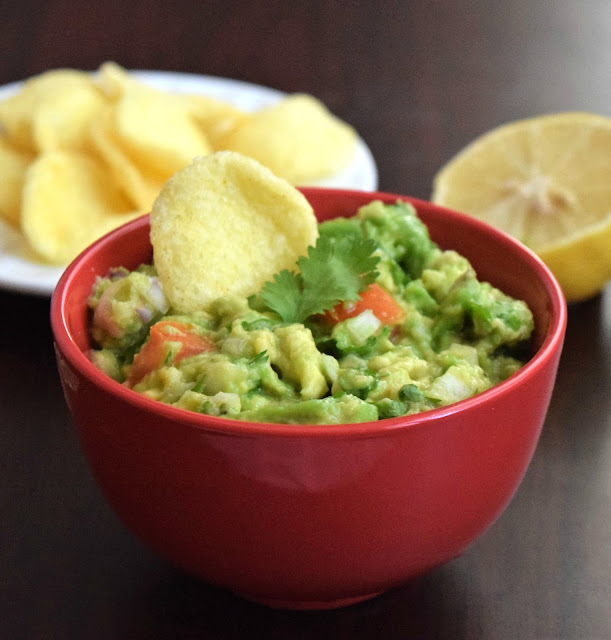 You can mash the avocado roughly or smooth according to your preference. Try this and give your feedback! Take an avocado, remove the seed and scoop the flesh out. 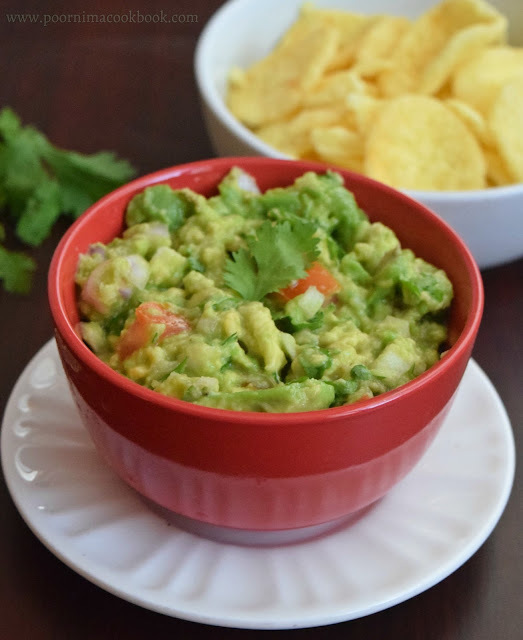 Place the Avocado in a bowl, mash it roughly using fork. Then add onion, tomato, green chillies, coriander leaves,pepper powder, lime juice and salt. Mix it and serve immediately. Serve it along with chips or use it as a spread for sandwiches.